For some years now The Reader Organization in Liverpool under its ‘Get Into Reading’ scheme, led by Katie Clark, has been running very successful poetry-reading sessions with people with dementia. These are a mixture of reading to and with people, and poetry has been found to be more suitable than prose because of the emphasis on rhythm and rhyme and the speaking voice, and the encapsulation of an experience in one short span of language. There are articles by John and Katie on the scheme in the Journal of Dementia Care issues for November/December 2008 and September/October 2010. 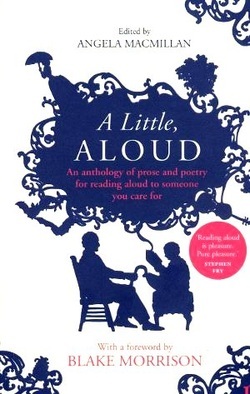 There are also training courses offered, and two anthologies available: ‘A Little Aloud’ (poetry and prose) and ‘Poems to Take Home’. You can find out more on their website. We have recently come across an international organization with similar aims. It is called the Alzheimer's Poetry Project. This is a highly developed organization too, but they deal almost entirely with classic poems to stir the memory of participants, whereas Katie uses poems from all periods. They publish their own anthology. John and his poets in Herefordshire have been combining poetry reading with writing down people’s words and making poems from them. They find that sharing verse can often stimulate people to be creative in their speech.